I am an avid fisherman on foot based out of south Tampa. Does anyone know any good flats near me to wade onto or canals? I used to spend some time fishing around Tampa and St. Pete, but it's been several years. The best place I waded in that area was Weedon Island Preserve. There were days I would absolutely spank the reds in the fall with live shrimp under a Cajun Thunder. Caught some on gulp shrimp and DOA Cals as well. Also caught a few trout and some snook as well. It's about a mile walk to the water from behind the educational building if I remember correctly. Bring bug spray or cover up as much of the walk is a trail through the mangrove forest. Hope that helps and let me know how you do! If you need more specifics from there, I could maybe try to drop you a pin or draw you a map. Good luck! OverSlotsonly- thanks for the help. Hope to get out here soon! Up near pinellas point park I have slayed the trout and snook. done very well when I visited. 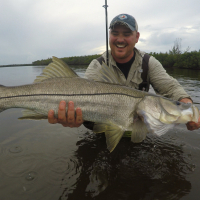 Snook and trout in the flats and docks. Throwing DOA shrimp and Bait Busters. Cypress Point Park at the end of Cypress street. American Legion Flats off Prescott st and Westshore. All of these are easy to access and have a lot to offer. There's a couple youtubers that fish out of that area too. Worth looking up. River side is where I do good.